By now, we’re all well aware of TripleFit‘s sprawling gym and wide range of workout classes. 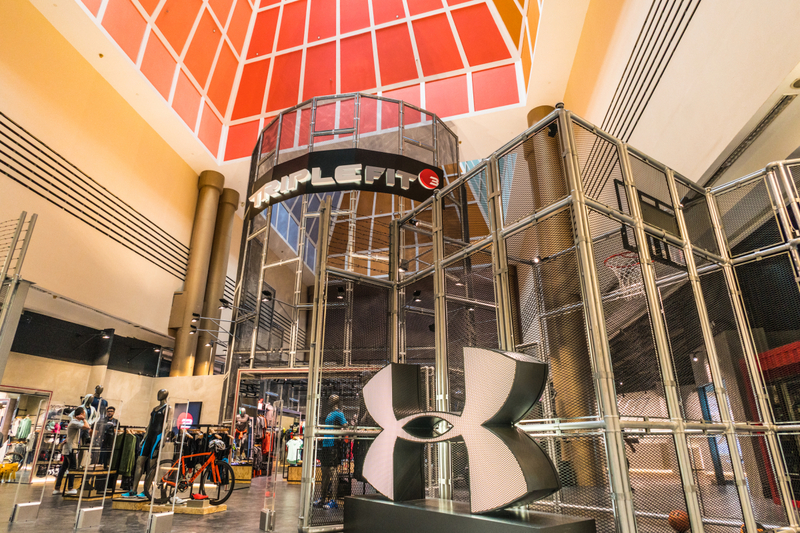 What some of us might be unfamiliar with, however, is TripleFit’s surprisingly well-stocked Retail Zone. If you’re planning on getting some new gear to hit the gym in, you’re going to find all you need in this space. Gloves, trainers, compression tights, and even loungewear, you name it, they probably got it. They also stock a whole range of brands as well, some you may not be entirely familiar with . As such, we’re going to take this opportunity to introduce some of our favourites from the TripleFit Retail Zone. If you’re looking for new a baselayer to kill your workouts in, we cannot recommend the Odlo Ceramicool Motion enough. It uses nifty ceramic microparticle technology to manage personal climate control. That’s a fancy way of saying it helps you keep cool while you’re trying to outdo your personal best. You can already imagine how functional this will be in Singapore’s tropical heat. Odlo, started by Norwegian sportsman Odd Roar Lofterød in 1946, is a brand known for its ability to mesh functionality and style perfectly. The Ceramicool Motion is proof. Sure the C3fit Re-Pose top and sweatpants look like ordinary PJs, but looks can be deceiving. In fact, what you’re looking at is Japanese precision engineering at its finest. The fibres used in the clothing, Kodenshi, absorbs infrared radiation from the body and reflects it back to the body, enhancing your recovery. If you want your body to be in fine fettle for your next session at the gym, recovery is key. So while you’re lounging about at home, let the Re-Pose do the heavy lifting for you. Top $99, Sweatpants $ 119.25. Shop here. We tend to run in the wee hours of the morning, when there’s less vehicle exhaust to inhale, and it can get pretty chilly – especially when it’s windy. This jacket from Newline, is as functional as it is stylish. Founded in 1981, Newline creates its products in the belief that functionality and style should be complementary, not exclusive. Hence if you head down to the TripleFit Retail Zone and check out the Newline collection, you’ll see what we’re talking about. If you looking good while you work out is a priority, just like us, Newline is the brand for you. Lawrence #EmpoweredMoments from AUGUSTMAN on Vimeo. Explosive movements while working out require comfortable and durable clothes. The Outpace running shorts (shown in video above) from British sportswear company Every Second Counts is made with Italian performance fabric with high elastane content. This means it’ll move with you seamlessly and it’ll retain its shape even after repeated washes. We’ve all had experiences with shorts that disintegrate after a couple of months. The Outpace shorts also has a reflective side panel for increased visibility and back pocket for your essentials. Discovery the collections from these brands and more, including Under Armour and On, at TripleFit, located at 9 Raffles Boulevard, Millenia Walk, #02-63. These brands are also available at tripleready.com.